Pretoria generates a multicultural energy from a harmonious blend of traditions, culture and architecture. 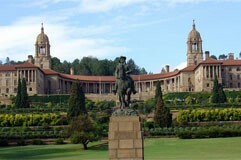 Pretoria has historic value extending to that of the British Empire and Apartheid. 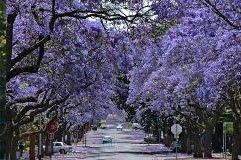 The tour includes the either the Voortrekker Monument or Freedom Square, the Union Buildings, Kruger House, Church Square, Hindu Temple and thousands of Jacaranda trees.